This darkly-comic film takes a satirical look at the contradictory pressures faced by women today. 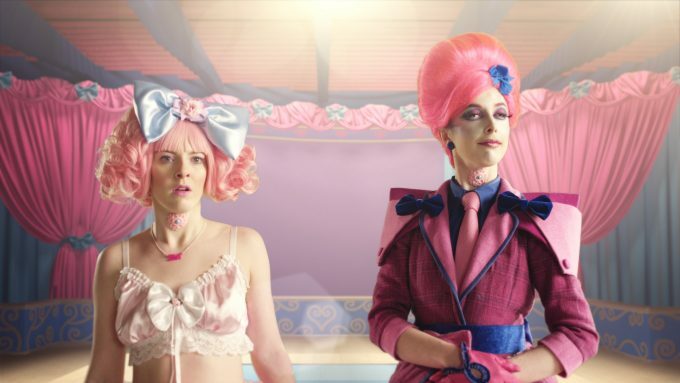 It examines how television and social media can be fun and expressive spaces to explore identity, but simultaneously a gilded prison that encourages women to conform to strict beauty ideals. Siri wakes to find herself trapped inside a brutalist candy-coloured dreamhouse. Despite the cutesy decor, the place is far from benign, and she and her inmates are encouraged to compete for survival while being watched over by surveillance cameras, 24/7.